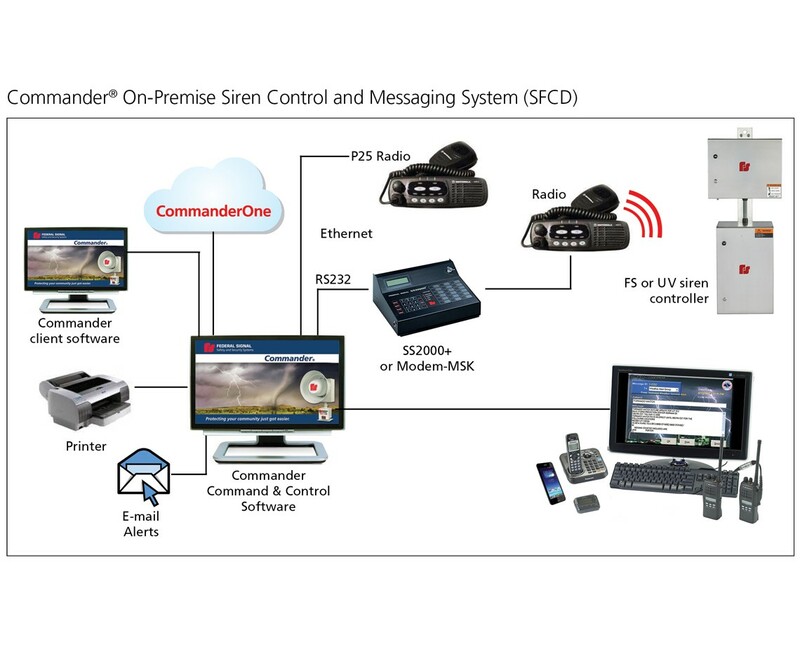 The Commander siren control system offers both secure activation and status monitoring of any alert and notification system. From Giant Voice to Mechanical and Intelligent siren systems, Commander is designed to control, monitor, and link your warning system. 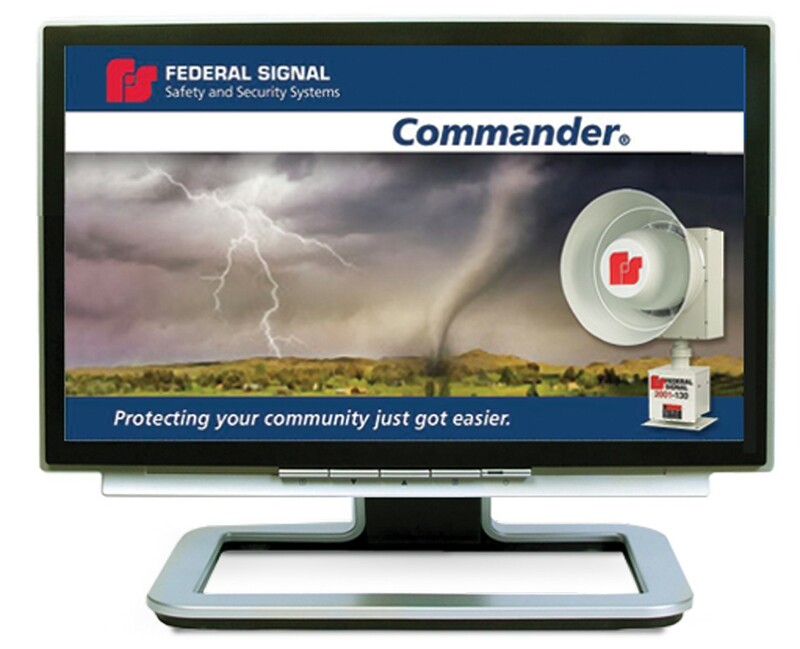 Federal Commander continues to evolve to meet the challenging demands of customers throughout the world to provide a system unmatched in its features and ease of use. From controlling 1 siren to 511, the system can expand to accommodate your changing needs. Federal Commander provides an easy to use hotkey activation screen. Administrators can program 30 hotkeys to activate all sirens, sirens in zones, or individual sirens. Hotkeys can be color coded and grouped. Each hotkey can also be programmed to include a text, email, or voice message sent to first responders, citizens or the media to alert them on the situation. In this way a single hotkey can activate sirens and send informational messages simultaneously. Predefined alerts can also be sent from the activation screen without activating the sirens. Widescreen HD monitor/video card recommended for CommanderAssist applications. Required for local servers initiating text-to-speech audio, to convert text to speech for radio devices. Required for local server to SS2000 interface to radio or direct serial interface to digital radios. Not required for 100 % IP-based siren system. Required for optional GPS time synchronization card and/or optional I/O card. For use with external powered speakers, optional CS-RIU, mouse and keyboard. Required network ports: 80, 443 bi-directional to commanderone.fedsig.com.